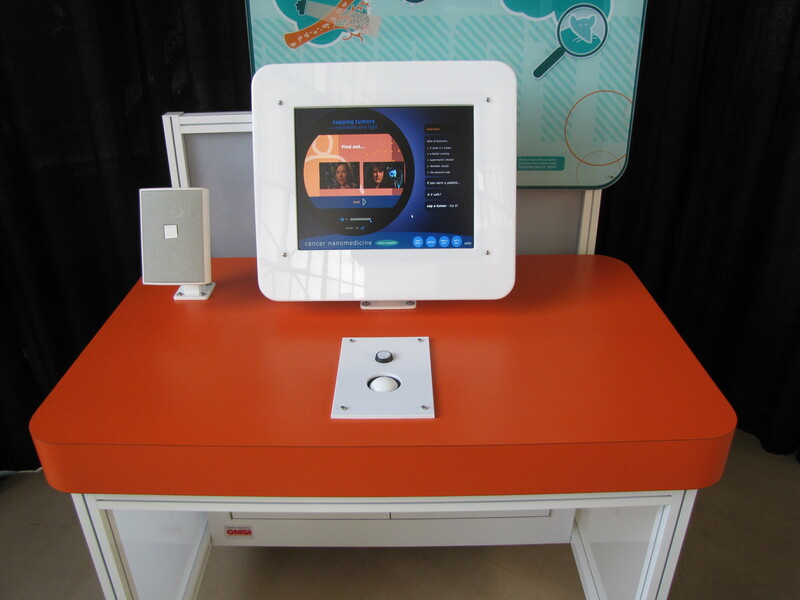 The Nanomedicine Explorer is an interactive, updateable multimedia kiosk and media package, that is also available as a component of the Nanomedicine Exhibition. Visitors can explore a variety of topics and specific research areas in cancer nanomedicine through vivid animations and video story-telling up close with a diverse group of researchers. Interactive features include games, polls, and options to dig deeper into the material. Fully bilingual English/Espanol. Visitors can text message or email themselves a link to the companion website. Produced with support from the NIH NCRR SEPA program. 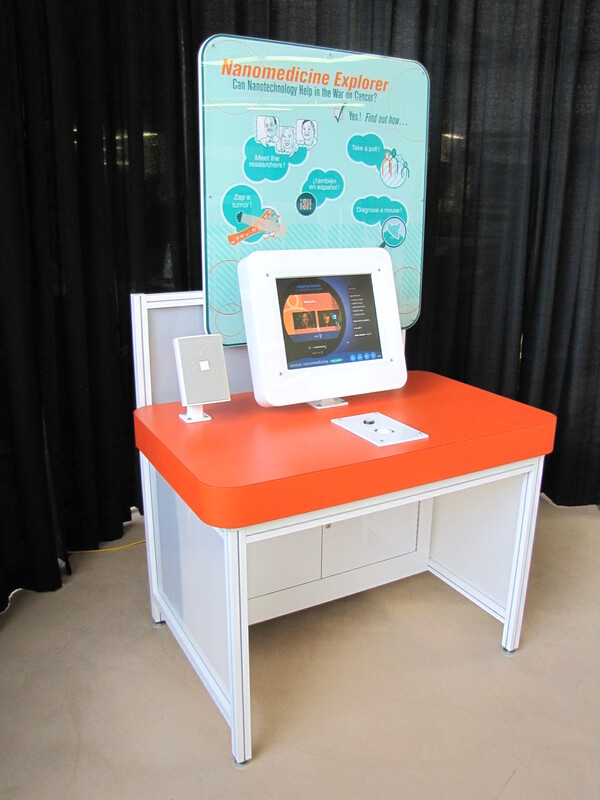 The multimedia package can also be loaded into any computer display or custom-built cabinet to augment existing health, medicine,and nanotechnology exhibits. Developed for the NISE Network with funding from the National Science Foundation under Award Numbers 0532536 and 0940143. Support for content also from: the NIH NCRR SEPA program; and the Center for High-rate Nanomanufacturing (NSF 0425826). Any opinions, findings, and conclusions or recommendations expressed in this product are those of the authors and do not necessarily reflect the views of the NSF, NIH or CHN.